Pretty incredible when an animal recognizes a human who is pregnant, and then honors the mother with a kiss to her belly! Such was the case with this orangutan who even bowed his head down in respect as he seemed to get very emotional and teary eyed upon seeing the pregnant woman who is about to become a mom. A very beautiful gesture by this animal! 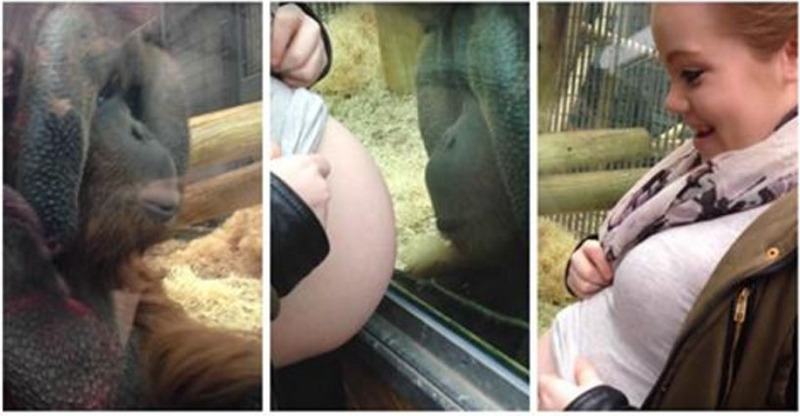 And some very interesting insight on animal’s understanding of a pregnant human. Share this beautiful video with all of your animal loving friends and family!